Effective use of Bold-Max 300 for muscle mass? After the start of Boldenone Bold-Max, a gradual, high-quality set of muscular volume is noted. Significantly increase power indicators. The weight of the athlete also increases. 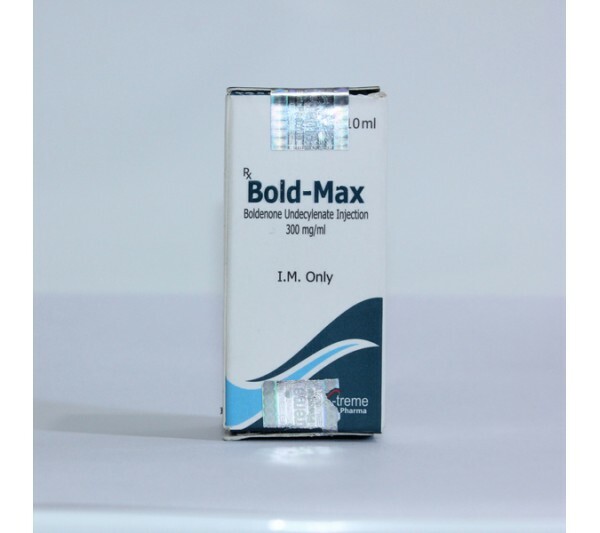 The use of Bold-Max 300 mg causes an increase in appetite. In the blood, the erythrocyte mass increases, a larger number of red blood cells are formed. Muscles get more oxygen, lactic acid is formed in smaller quantities. Steroid is often used by athletes who tune in primarily to increase endurance. How to take the drug Bold-Max? It is necessary to begin reception after receiving competent inspection and consultation of health workers. In order to select the optimal dosage for consumption, the experience of using steroids of anabolic, androgenic action, the individual capabilities of the organism is taken into account, the goals for which AAS is used are taken into account. On average, a course is assigned for a period of 8-10 weeks. Men take 400-800 mg of the drug, women - 50-100 mg.